If you choose to view TROPHIES BY SPORT you will navigate to your chosen category (say FOOTBALL) and see all trophies that can only be used for football but DON'T FORGET that you can also buy Shields, Cups, Crystal etc. that can be specified with your chosen SPORT. To shop these you'll need to view TROPHIES BY PRODUCTS or follow the image links at the bottom of every page. As an example there are currently 1400 different cups and bowls which you can view in total. Lets say you don't want to spend any more than £20 on a cup. 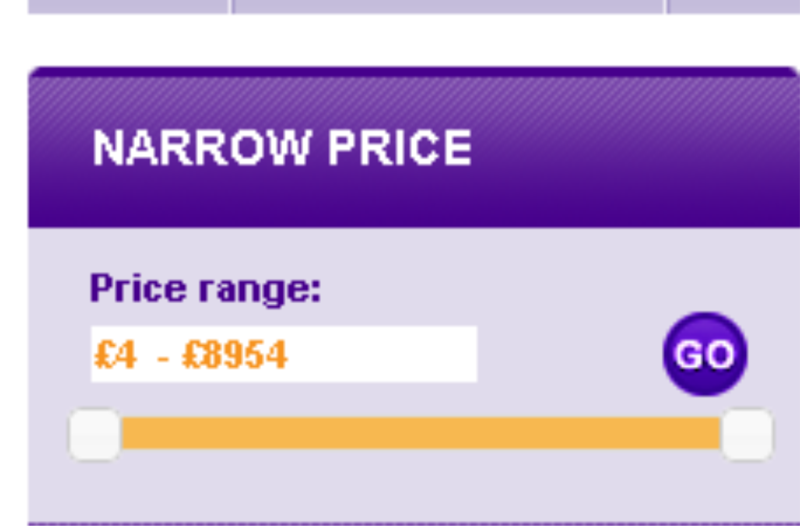 Slide the PRICE bar and stop where you wish. You can slide from both ends so you may wish to narrow to say £10-£20 This will remove anything less than £10 or over £20or you may prefer £0 to £20 this will give you everything up to £20. This narrow you selection to just cups made from base Metal and dynamically remove all the others. (say Silver Plate, Sterling Silver, Pewter even plastic) You will now have metal cups in all colours. 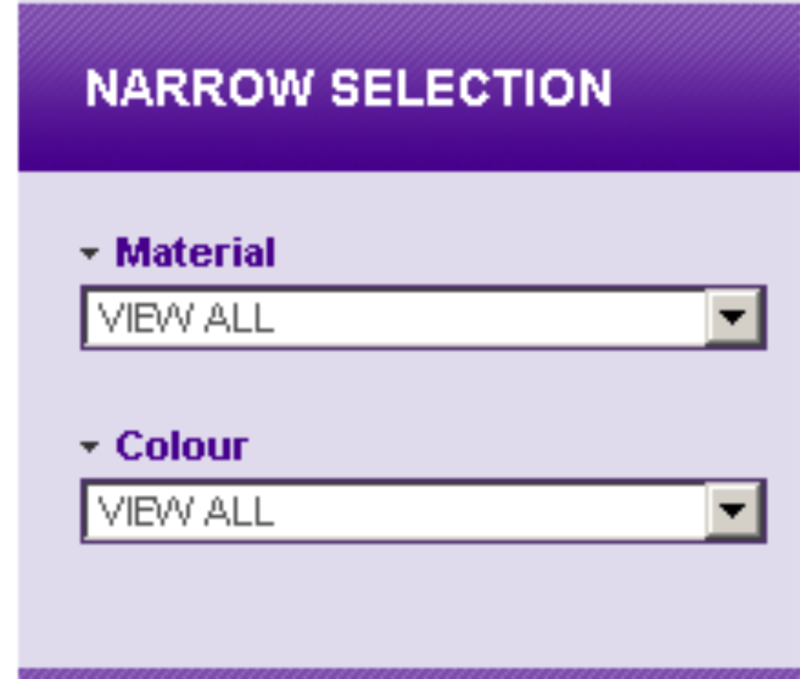 You can now NARROW BY COLOUR. Choose silver and and all other colours will disappear. the CHEAPEST first or MOST EXPENSIVE FIRST. just Goal Keeper awards you can. In the golf section you can look at just female golfers or specialist trophies for the longest drive. supported catalogues you can simply enter the reference number press ENTER or GO and and jump directly to the product. to choose the size and price that best suits you. From the HOME PAGE click the catalogue images or from the side bar drop down the list and choose the catalogue you wish to view. Using Virtual catalogue technology you will be able to flip through the pages of each catalogue. You can note down the references of any items that interest you and enter them into the quick search. Later versions of our site will improve on this technology and allow you to choose and buy directly from the catalogue. The FLOATING add to cart button will stay with you at all times ready for when you've narrowed your choice and made your selection. As you choose products you will receive an INSTANT quote with discount adjusted according to the quantities you select. You'll find this useful when you are working to exact budgets. For example: You need 10 Winners and 10 smaller trophies for runners-up and you would like to spend around £150. After using all of the NARROW options you will have arrived at a few favorites. Enter the quantities you need and watch the Adding value: £0.00 and No. of items:0 change dynamically. When you are happy with your choice press ADD TO SHOPPING CART and start building your quotation. You can amend and remove everything in your cart until you are finally happy and ready to place an order. Our site is uniquely laid out following 30 years of gathering order information from customers. We assume that in many case you will choose more than one size of an award for each competition. For example; Division One Winners will have one style of trophy and Division One Runners-Up a smaller size of the same trophy. You can choose both of these items, enter the personalisation instructions and add them to cart in one go. Choose the trophy style you want: (We’ve chosen 03/RS177 ) you will see that this trophy is available in 5 sizes with all sizes shown on the page at the same time. If you wish to buy SIX of the largest and SIX of the next size down simply enter 6 into the quantity box of the two sizes you want. 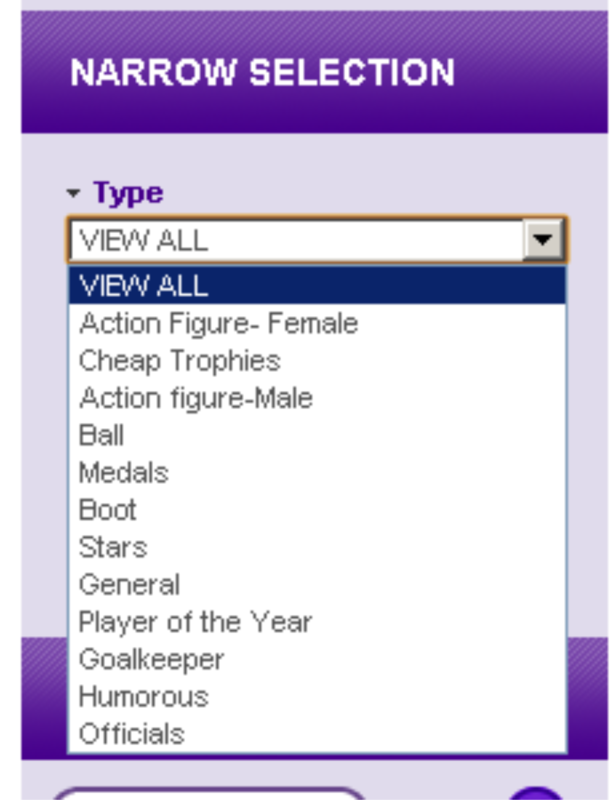 In this example you also have to choose a suitable emblem, to add to the award, from the drop down list. To the right of each trophy you will see the personalisation box. Enter the text you require and you will see a representation of the engraving plate appear below. Tip: You can automatically enter repeated text lines. by clicking the Copy box AND if you are adding lots of different text (maybe an individual name on lots of trophies) then tick the multiple box and a pop up box will allow you to enter a different line for every trophy. We have introduced a unique floating ADD TO CART button which doubles as an instant quote - this is dynamic so will change whenever you change your selection or quantity. When you are happy with both the quantity that you have entered and the personalisation instructions you should click the ADD TO CART button and add both sets of personalised trophies in ONE GO. You can change quantities in the cart if you need to. NB. 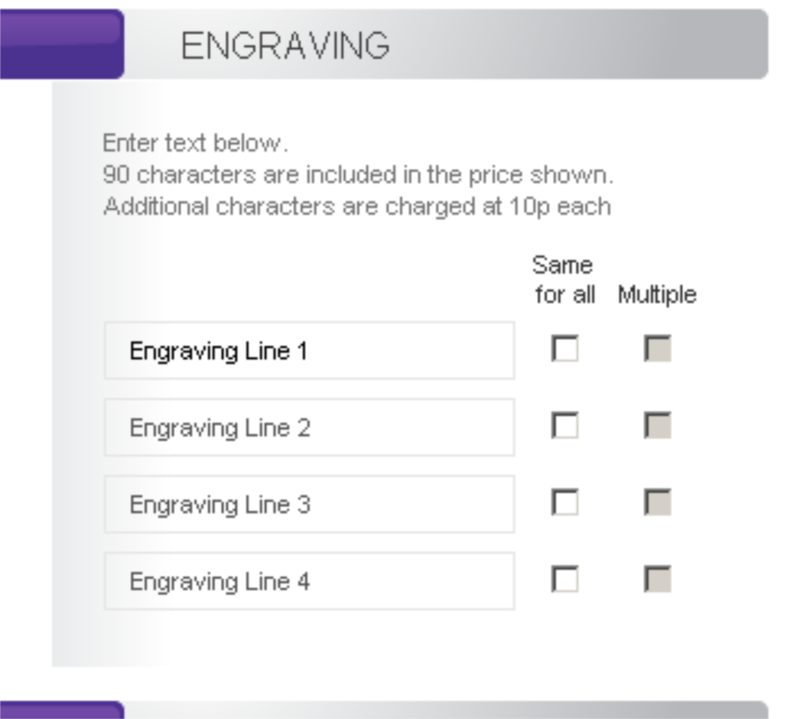 You can change personalisation instructions in the cart by clicking the product reference link and re-adding the new instructions you should take care with personalisation because we'll engrave what you tell us!